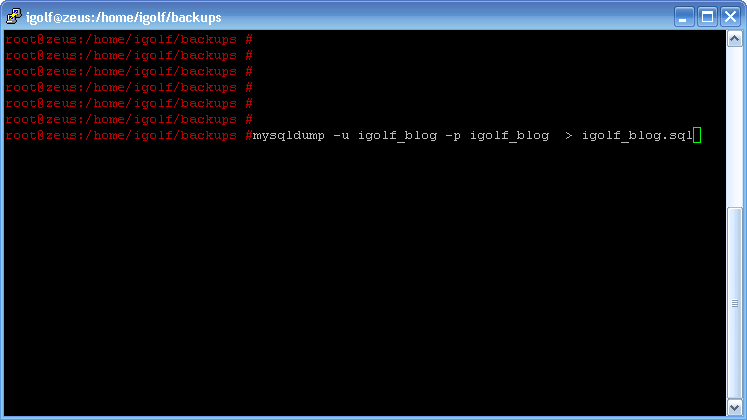 This entry was posted in How to and tagged backup, DA, directadmin on 06/01/2012 by ไอกอล์ฟ. This entry was posted in Mobile and tagged android, app, appInstaller, backup on 22/10/2010 by ไอกอล์ฟ. This entry was posted in Database and tagged backup, backup database, backup ฐานข้อมูล, bigdump, DB, mysql, mysql backup, mysqldump, phpmyadmin, ฐานข้อมูลขนาดใหญ่, สำรองฐานข้อมูล on 06/07/2009 by ไอกอล์ฟ.